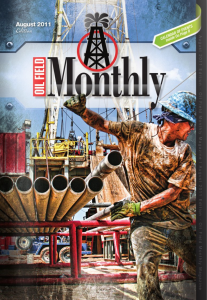 My ‘Casing Sway’ image was used on the cover of Oilfield Monthly for the August 2011 issue. Credit was placed on the inside of the cover with somewhat of a write-up* on page 10m, and full-page ad from Frame-It! gallery in Midland that represents me. Thanks for finding beauty in the hard working men of West Texas! This entry was posted on Thursday, August 11th, 2011 at 8:33 pmand is filed under . You can follow any responses to this entry through the RSS 2.0 feed. You can leave a response, or trackback from your own site.